It's April fools today, so don't believe any of the "I'm pregnant" Facebook statuses! But I do have a giveaway opportunity for you and it is not a joke! 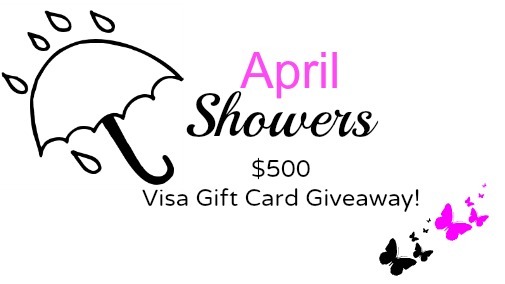 I have teamed up with a few other bloggers to bring you this April Showers giveaway! All the details and stipulations are listed below, good luck!!! $500? nice. I love these showers and giveaways. Love your outfit. The sparkly top with the tweed shorts gorgeous. Fun giveaway! I love seeing bloggers come together. I am LOVING that sequined shirt!!!!! Thanks so much for deciding to take part in this giveaway! I am pretty new to the blog world so I rely on things like this to introduce me to new blogs and the faces behind them that inspire, motivate, and encourage me everyday! I'm so happy to have you as a part of my daily routine now! I appreciate the work that I KNOW you put into your posts and I am so grateful that you have opened up your life to us! If I'm lucky enough to win this giveaway, I would spend the money on new makeup brushes and some new outfits to wear to the beach next month. 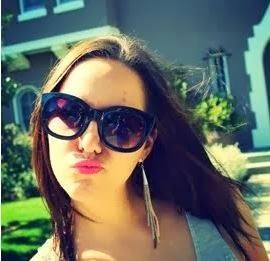 (My first vaca in 6 years!) Thanks a million!!! What a great sparkly outfit! I really, really love your top! That sweatshirt is AMAZING! And you wear it fantastically! I love vintage and this is perfectly on trend.